There are a number of cairns in Stanley Park. 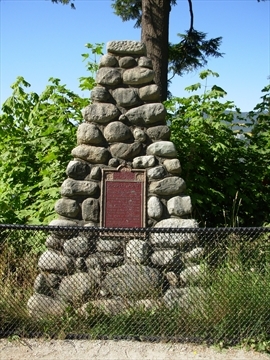 The SS Beaver cairn is a memorial to the famous steam ship "Beaver" which ran ashore and wrecked on the rocks below Prospect Point in Stanley Park. 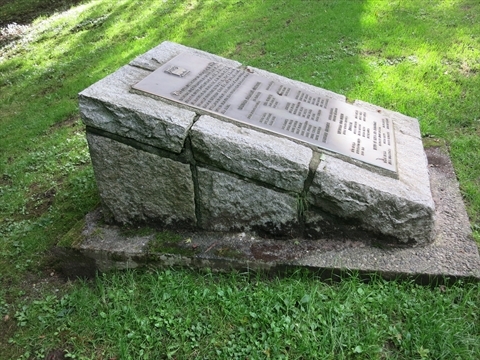 The Vancouver Centenary Cairn commemorates the centenary of the City of Vancouver. 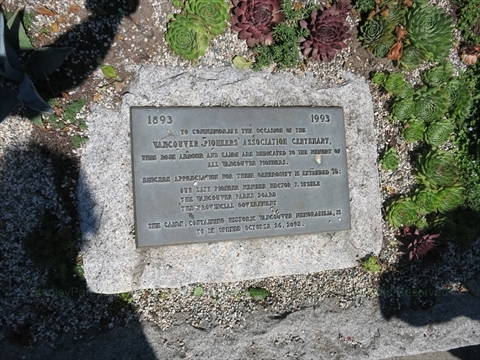 This cairn and plaque commemorates the centenary of the Vancouver Pioneers' Association. 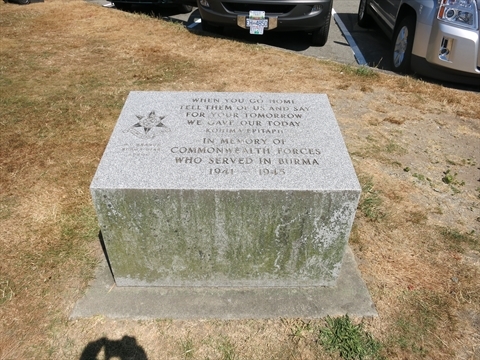 The Burma Forces cairn commemorates the commonwealth forces who served in Burma during world war 2. 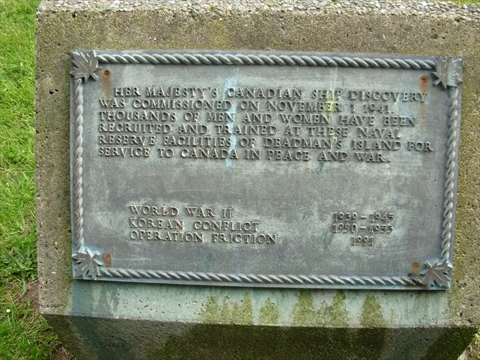 The HMCS Discovery plaque commemorates the commissioning of the ship (which is actually an island)! Supposedly there was a cairn at Chaythoos that was accidentally removed many years ago by park workers because they thought it was just a pile of rocks. If you know anything about this cairn, please contact us and tell us what you know about it! Supposedly there is a cairn built by Hare Krisnas near the trails that lead to Third Beach. We have been unable to locate this cairn. If you know anything about this cairn, please contact us and tell us what you know about it!